Join Ranger Amy to discover what lives in the lake. Register here! 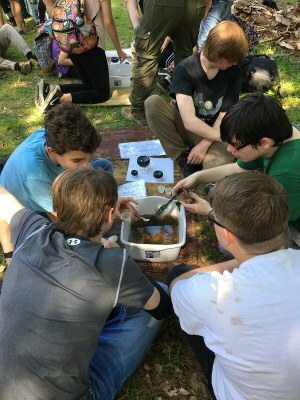 We'll use dichotomous keys to identify invertebrates and discuss if the waterway is healthy or polluted. *If you cannot make it to the program then you MUST cancel via Eventbrite or leave a voicemail at 409-698-6636. Please try to cancel 2 days prior to the program so that we can open up your registered spot for someone else. If you "no-show" to this program then your name will be placed on the wait list for all future park programs. Where: Martin Dies, Jr. State Park nature center on walnut ridge unit. Cost: Free. Since this is an educational activity intended for homeschool children park entry fees will be waived. Please make sure to fill out the sign-in sheet when you arrive at the nature center.